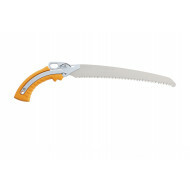 The curved blade is ideal for work above shoulder height and even cuts faster than a straight blade. 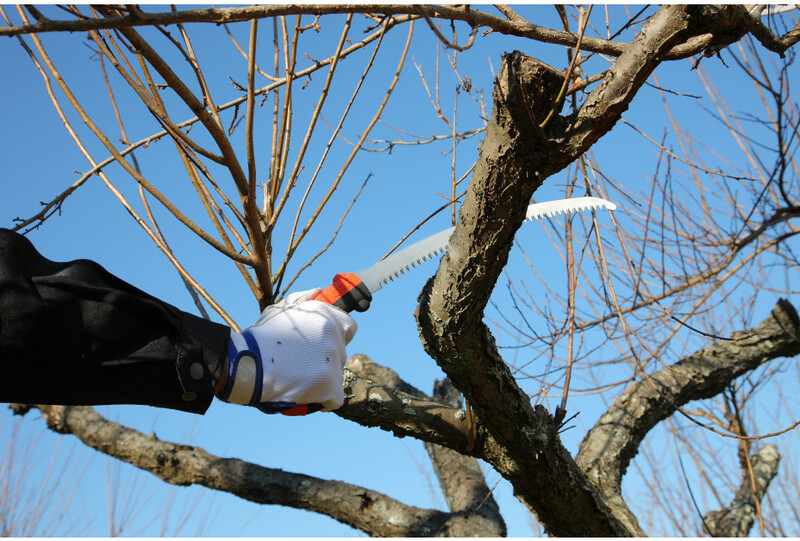 Considered as a premium feature by professionals around the globe, our mono-construction design not only provides a perfectly balanced hand saw, but delivers extra strength and flexibility in use. 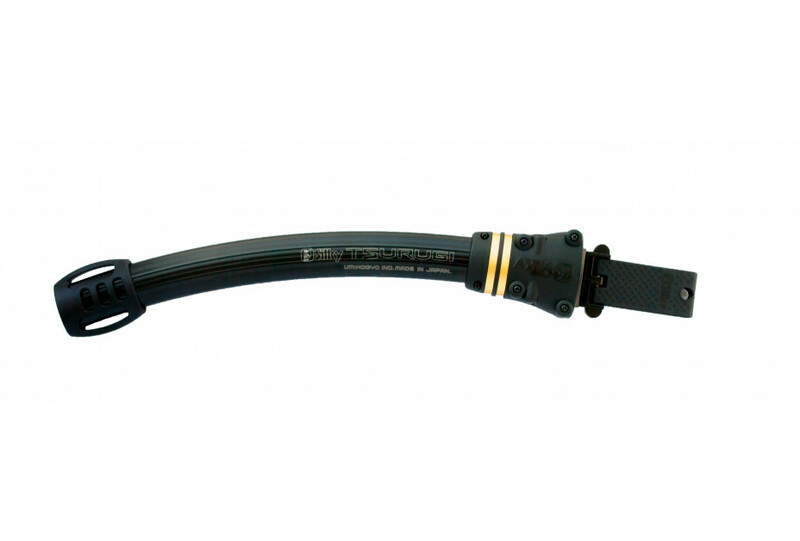 This eliminates handle and blade fatigue found in most other saws where the blade mounts to the handle. 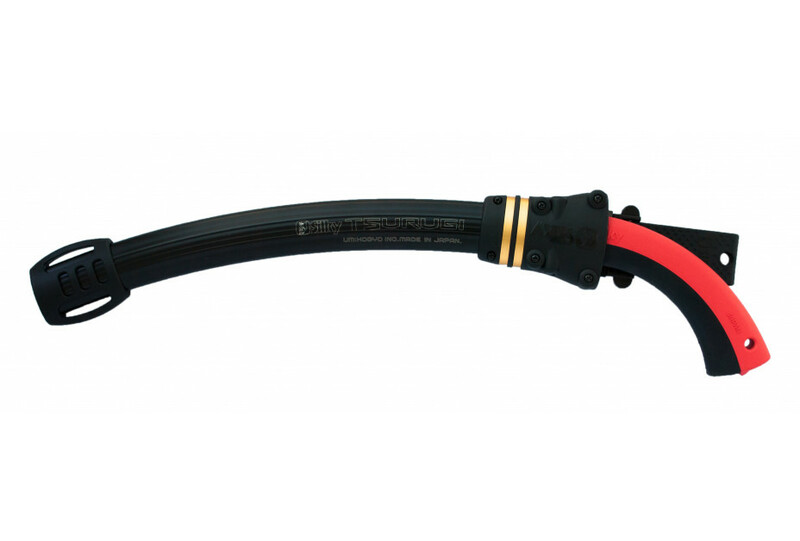 The switch rubber handle is composed of two parts which, without the use of tools, can be removed and placed on a new saw blade. 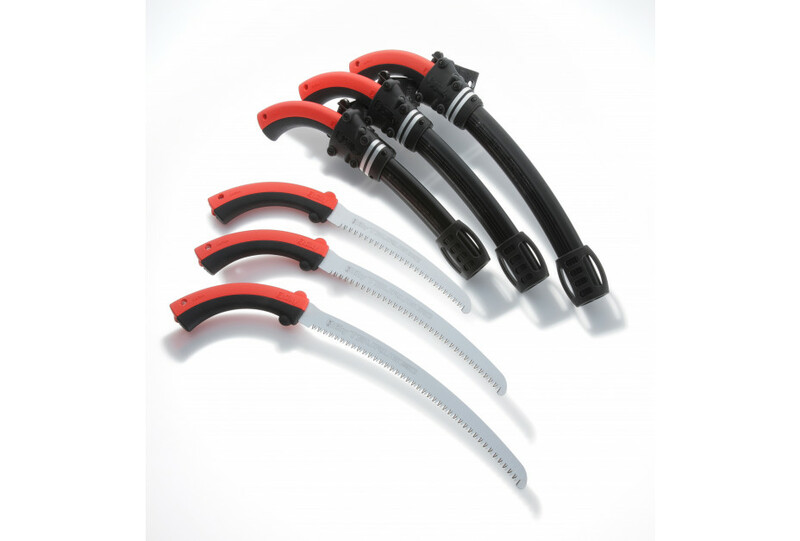 The rubber non-slip handles absorb the vibrations of the saw and bring this energy (without degradation) directly to the cutting-edge of the saw. 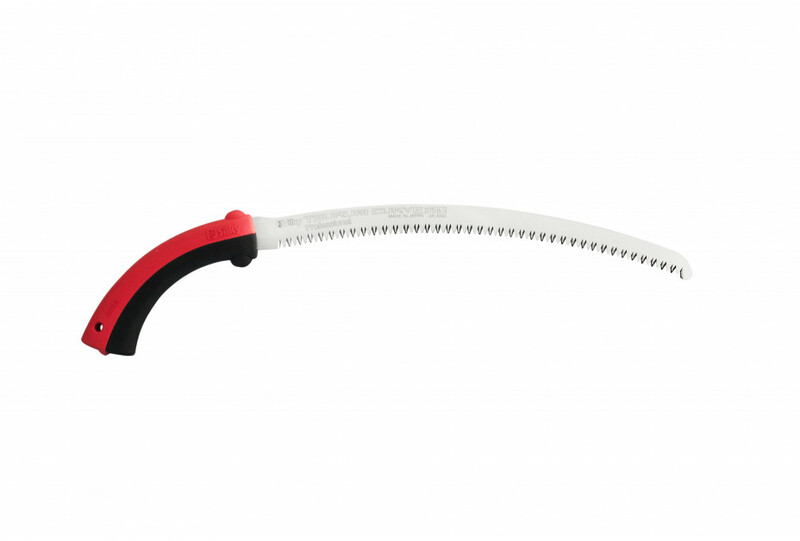 There are two bumps at the end of the handle which protect the hand from slipping on the blade. 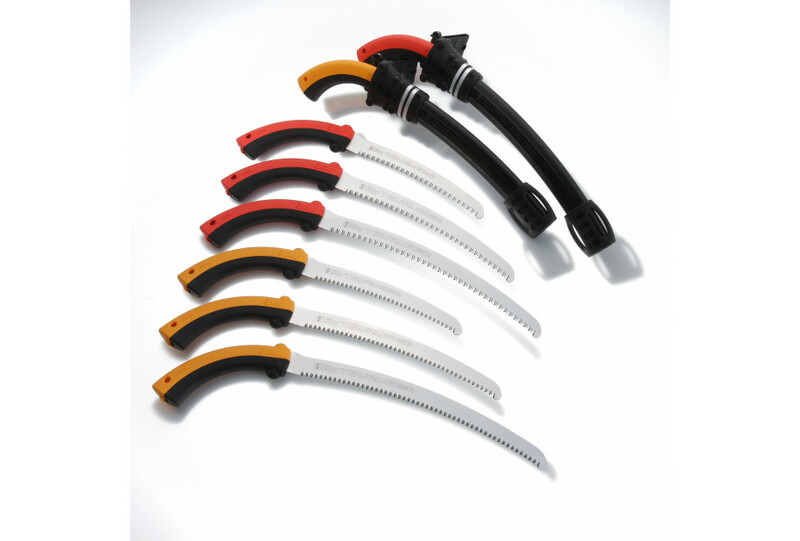 The Tsurugi Curve comes with an aluminium holster, the opening of which is equipped with 4 small rollers to ensure it is not damaged (to reduce wear and tear) by the sharp teeth of the saw when it is drawn or holstered. 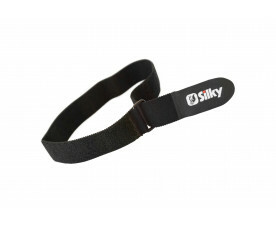 Silky has put forth a lot of effort to ensure that the grip sits firmly in the sheath in order to prevent its falling out due to incidental contact. 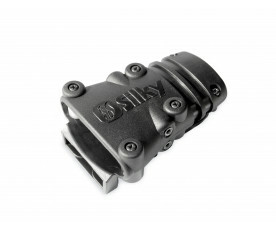 The holster can be attached to a belt and has slots so that attachment to the leg is possible by means of a ribbon which can be obtained separately. 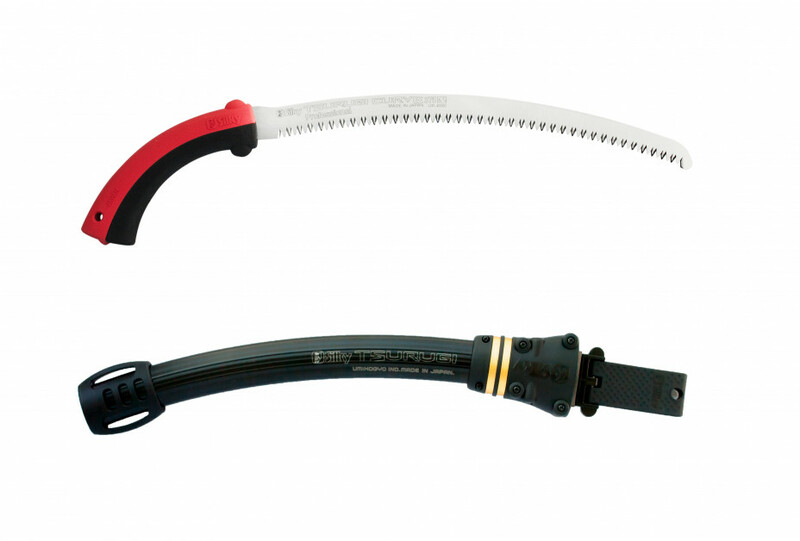 The distinctive narrow blade enables Tsurugi to work efficiently between dense vegetation. The teeth are cut in the blade with precision, each with 4 cutting edges. 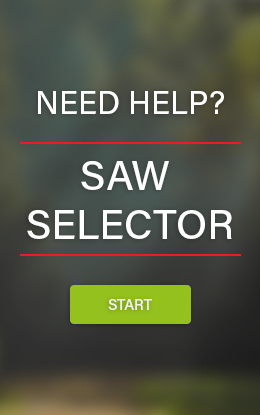 Since there is no swaging, the cutting edge cuts into the wood straight. As a result, approximately 50% less wood cells are destroyed. 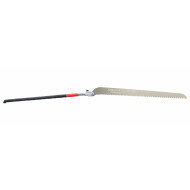 This requires less cutting force, but also guarantees a clean cut without breaking down the wood, so that the wood does not or hardly does splinters and causes a very fine and smooth cut. When sawing in green wood the corrosion caused by viruses and fungi is prevented and the recovery of the saw wound is accelerated.